Tobacco marketing in stores is a primary cause of youth smoking. A great project is for youth to visit tobacco retailers in their communities and document what they see. It’s INFORMATIVE. You see what tobacco marketing looks like from the youth perspective like in the community of where they live, learn, and play. It’s ENGAGING. Youth who get involved are more likely to stay involved. It’s EASY, especially when done with a team. It’s FUN. There is a touch of suspense when doing store observations. Prior to moving forward with store observations, like with any project, it’s crucial to get buy-in from your youth and generate excitement. If your youth leaders aren’t familiar with the impact of Point of Sale marketing in their communities, you will need to first train them on the topic. CounterTobacco.org offers great resources that can support you throughout this process, including evidence-based descriptions of the problem, policy solutions, advocacy materials, news updates, an image gallery exposing tobacco industry tactics at the Point of Sale, and a Youth and Community Engagement Activity Center. After you have educated your youth on the problem, propose the project to youth leaders to see if this is something they want to do to pursue a solution; showcase examples of other youth who have conducted store observations and what they were able to accomplish as a result. Store observations offer a great opportunity to teach youth leaders about the importance of collecting qualitative and quantitative data to compel decision-makers to address a problem. Arrange a meeting with youth and other adults (if appropriate) to determine the communities where store observations will be conducted based on where the youth live, learn, and play. Map out your route based on these locations. If your locations are close together, such as a walk to school, you may be able to conduct a “Walking Tobacco Audit” on foot. 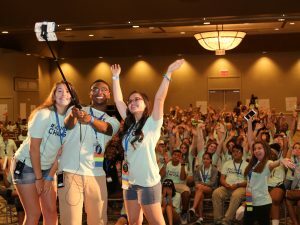 If your locations are spread apart or you are targeting multiple communities, consider a “road trip” from community to community with a group of youth. Don’t reinvent the wheel! STARS (Standardized Tobacco Assessment for Retail Settings) is a comprehensive tool designed by researchers, the CDC and the Tobacco Control Legal Consortium for youth and adults to conduct store observations. Download their comprehensive materials to collect and analyze your data! Train youth and other adults on how to conduct store observations using STARS. Have the youth practice before going out. While tools like STARS provide the nitty-gritty details of collecting the data, there are a few keys to success for conducting store observations with youth specifically. Motivate and support your youth – conducting store observations can be intimidating! Give your youth a pep talk and review the plan prior to sending youth leaders into stores. 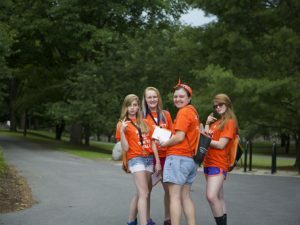 Use a buddy system – youth should always be working in pairs or in small groups to collect data. This will also allow you to collect data more efficiently by dividing and conquering. Ensure youth are prepared with talking points for clerks or managers. Youth should be prepared to ask for permission to conduct observations for a school project on marketing. Take pictures and videos whenever possible. Review forms before parting ways to make sure you aren’t missing any important information. Be sure to debrief your store observations – ask youth for their reactions. What stood out? What irritated them? Did one brand stand out more than others? Jot down their quotes for use in future media releases. Hold a press conference with visuals, incorporating your youth data collectors as speakers. Youth can also write an article or a letter to the editor about their experience. Youth can also present their findings to community and parent organizations to garner letters of support to share with decision-makers. Youth present findings to the appropriate decision-makers. This will differ depending on each community. Results can be shared with elected officials by inviting them to an existing event, scheduling one-on-one meetings or attending regular meetings. Finally, don’t give up; do store observations every year. The landscape of tobacco marketing is always changing, and store observations are a great way to educate youth firsthand about how Big Tobacco targets them. Conduct more store observations in another community. Keep presenting for support from key leaders, community and parent organizations to the decision makers and keep pressing forward! To learn more about taking action on Point of Sale, check out our January webinar on Reducing Tobacco Ads & Creating Healthy Communities. Great article Heather. I especially liked the recommendation to have the youth debrief immediately after an audit. Their impressions will be freshest and you are likely to get some “gems” as they react to their experience. We too are encouraging our youth to conduct environmental scans of retailers here in Wisconsin. One idea a local FACT group had was to invite a local legislator to join them as they completed their scans. 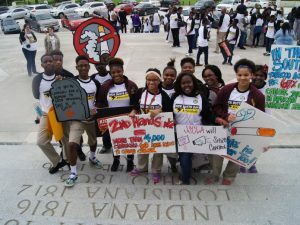 It was a great success to demonstrate, first-hand, the impact tobacco marketing has on our young people.